"Better a good neighbor than a distant friend." As an ardent collector of detective stories, I have to confess to an appalling trait that the preponderance of books, in my collection, has to endure after the postman drops them off. I have no problem investing time and money in order to acquire a particular novel or collection of short stories, but I have to begin flipping through its pages, as soon as it has shed its cardboard package, or it will languish on the snow capped tops of my to-be-read pile for weeks, months or even years! 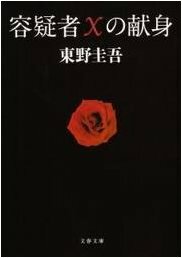 This was also a fate suffered by Keigo Higashino's The Devotion of Suspect X (2005), which reached the shores of the English language last year and I immediately pounced on the hardcover edition, however, it took me until now to actually read it – and only after being nudged. Not to mention that the paperback release is just around the corner! 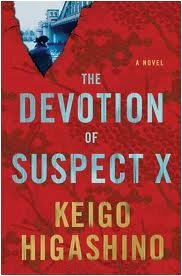 In Japan, The Devotion of Suspect X is part of an ongoing and acclaimed detective series, in which an assistant professor of physics, Manabu Yukawa, nicknamed "Detective Galileo," abets one of his old friends, Detective Kusanagi of the Tokyo Police, in his investigations. At first glance, this structure suggests a platitudinous take on the classic amateur detective, who has to solve the cases for an unimaginative policeman, but this is not entirely the case with this book – which feels more as an upgrade than as a throwback. The story begins, as so many do, with a man and woman, Yasuko Hanaoka and Shinji Togashi, but in this tale they separated long before the readers meets them in the opening chapters. And for good reason, too! Characters like Togashi are to the modern crime novel what the tyrannical patriarch, who had a stranglehold on the purse strings of his relative and altered his will on a whim, was to the traditional whodunit. He was a bum and a drunk, who abused and leeched off his ex-wife and stepdaughter, Misato, which, needless to say, put a strain on their marriage – and eventually Yasuko and Misato left him. However, Togashi proved to be as persistent as a tick and it took some effort to shake him off their backs, but, in the end, they were able to settle down and began reshaping their lives. Unfortunately, for them, it takes Togashi only a year to track them down and the confrontation escalades in a scuffle, in which Yasuko and Misato kill their tormentor. Still dazed and confused over what they just did, their next-door neighbor, Ishigami, a first-rate mathematician whose heart secretly beats for Yasuko, appears, like a deus ex machina, to expel their demon once and for all. He removes the body from their apartment and constructs an alibi for them. It's a clever scheme calculated to have the delusory appearance of a common place crime, but there's an unfathomable depth to it and it would have gone without a hitch where it not that Kusanagi mentioned Ishigami's name in passing to Yukawa – one of his old friends from University. One of the most interesting part of this novel is that Yukawa and Ishigami, from the viewpoint of the inhabitants of this story, act as (im)partial observers – while it's their minds that drive the events that everyone is a part of. Yasuko and Misato function as a proxy for Ishigami, who, in turn, has to adjust his plans when Yukawa is beginning to see through them. This makes The Devotion of Suspect X a very character-driven crime novel, but one that managed to impress me from start to finish and found myself rooting for Yasuko, Misato and Ishigami! If there ever was a bunch of conniving, but endearing, murderers who deserved to get away with murder, literarily, it's them and you almost get annoyed at Yukawa's persistent deconstruction of Ishigami's plan – which felt tantamount to destroying a beautiful piece of art work. I guess I also have to address the controversy this book whipped up back in 2006, when it swiped the Honkaku Mystery Grand Prize for best orthodox mystery novel. Some well-known mystery critics drew question marks around this decision and wondered aloud about the veracity and fairness of the clues, which, I think, is an apparent qualification to win the prize – and I have to admit that they do have a point. This story is an inverted mystery and the issue of fair play clueing here is a bit different than in your standard whodunit. 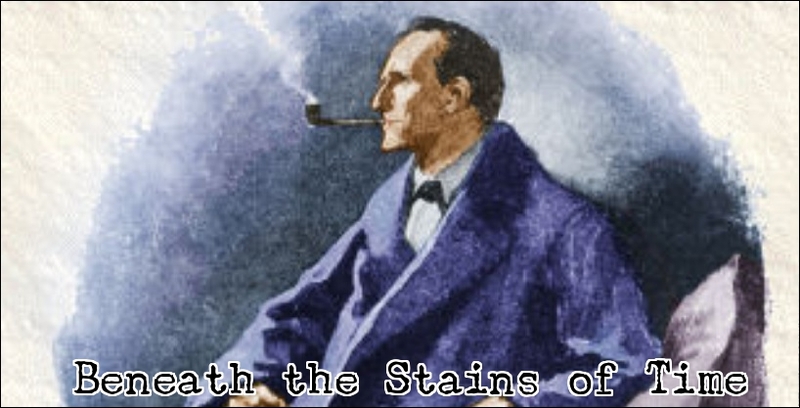 It's not about whether the reader has been furnished with all the necessary clues and hints to have a shot at solving the case themselves, but how the detective arrived at that point. This is were you bump into the only flaw I could find in this novel: Yukawa arrives at his conclusions, which he admits to at one point in the book, intuitive rather than deductively and what's more damning is that his guesses were mostly based on 20-year-old memories of Ishigami – which I found, to be completely honest, rather ridiculous. For example, Yukawa became suspicious of Ishigami after his old school chum made a casual remark that he was losing his hair, which prompted a memory that the Ishigami he knew, from over 20 years ago, never cared about his physical appearance and began drawing conclusions from this. Well, people change, especially after two decades, and the fact that he assisted in a murder, no matter how good his intentions are, proves that he was no longer the Ishigami that Yukawa once knew – and this is were the critics have a point. On the other hand, the final twist that was uncovered in Ishigami's plan oozed with brilliance and completely took me by surprised. It was also reasonable clued. As a whole, The Devotion of Suspect X is worthy of the praise and recognition it has received as well as being an excellent example that a capable and clever mystery writer can construct a classically-styled, multi-layered plot in a modern-day setting – which makes this a book that can be enjoyed by both detective and thriller fans. Fellow mystery enthusiastic, Ho-Ling, has more on Keigo Higashino on his blog – including reviews of his, as of yet, untranslated novels and adaptations. I recommend you check it out. I remember being amazed at the ending of this book and the irony of it. Well worth reading, I agree. Suspect X is also one of those books I could easily recommend even to non-mystery readers, as it works as good as a suspense thriller or even a (tragic!) love story. This is actually often the case with Higashino's novels, which explains why so many of his works are adapted for the screen. The film of Suspect X is quite good too, with Tsutsumi Shinichi as Ishigami stealing the show. And it has an awesome ending song. You make a good point on the position of Yukawa and Ishigami within the novel, which is something you often see in Higashino Keigo's series novels: they are highly character-driven stories, with the series detective (Yukawa here, but there's also the Kaga Kyouichirou series) only appearing sporadically within the narrative, even though their actions have great influence on the behavior of the characters. First of all, I have cleaned up the text that discusses the controversy of this novel, which had some weird sentences, even for the mess I usually leave behind when I have finished writing a review or comment, and some things just didn't run smoothly. Yes, this was a very good story and demonstrates that a contemporary crime novel can be character-driven and clever at the same time. What do you think of my observation on Yukawa's "investigative" approach in this book and how this tugs on its status as an orthodox mystery? You make a similiar point like Nikaidou Reito did (who started the whole discussion). Nikaidou thought that Suspect X was a good mystery novel, but not an orthodox detective novel, because there were no actual clues in the narrative up until Yukawa's explanation of the case. It is little more than a guess and while it can be proven afterwards, there is nothing to point to the solution a priori. On his blog, Nikaidou for example states it should be possible to read the solution of an orthodox novel and then go back in the narrative to find the clues/proof supporting that solution. That's not possible with Suspect X, thus in his eyes not fit to win an award for orthodox detectives. Hooray for Homicide: One Year Anniversary!